Port Louis (French pronunciation: ​[pɔʁlwi]) is the caipital o Mauritius. It is the lairgest ceety o the kintra an main port, that borders the Indian Ocean. It is locatit in the Port Louis Destrict. The population is 147,688 (2003 census). Port Louis wis awready in uiss as a harbour in 1638. In 1735, unner French govrenment, it becam the admeenistrative centre o Mauritius an a major reproveesionin halt for French ships traivellin aroond the Cape o Guid Howp. The Port is named in honour o Keeng Louis XV. The first Govrenor wis Coont Bertrand-François Mahé de La Bourdonnais. 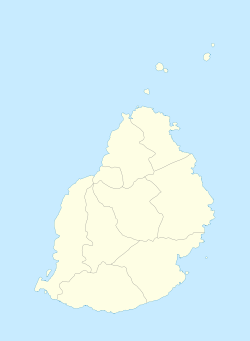 ↑ "Municipal & District Councils in Mauritius". Government of Mauritius. Retrieved 24 July 2012. Wikimedia Commons haes media relatit tae Port Louis.